Question: What’s silent, works 24/7 and is more persuasive than even the most seasoned salesperson? In the late 1800s, as fashionable Londoners were becoming more interested in spending, a retailer in the central city junction of Charing Cross installed plate-glass windows on his shopfront. The shop faced a busy pedestrian thoroughfare and while the radical move was initially frowned on in a city filled with severe-looking shops, the surge in sales proved it was a success. The practice became known as window dressing. It’s a quaint sounding name for what’s become not only an art form, it’s a strong influence on consumers — think of the thousands who visit Christmas displays every year — and a window to the economics of retail property. Philip Michael Wood is a visual merchandiser in Sydney who has worked with some of Australia’s biggest department stores and brands for more than three decades. He says window dressing remains intrinsically linked to changing economic fortunes, just as it was in the early days at Charing Cross. Window dressing was at its peak from the 1960s to the late 1980s, when store display budgets and customer spending were generous. “Australia was as much a part of the economic good times as anywhere else, and this was reflected in store window and instore display presentation just the same as most western markets,” he says. As more shops close along suburban retail strips, Philip believes window dressing has a part to play in boosting the appeal of retail property for prospective customers as well as potential occupants. A well-lit pop-up window display rather than a sole for-lease sign can create a sense of fullness along the strip, he says, making neighbouring retailers less nervous about customers not frequenting the area — as well as avoiding the perception of “ghost shops”. “Vacancies along high street strips can beget more vacancies,” Philip says. “A shop up for lease could appear more attractive to a potential retail tenant if they are able to visualise a like business in the window. 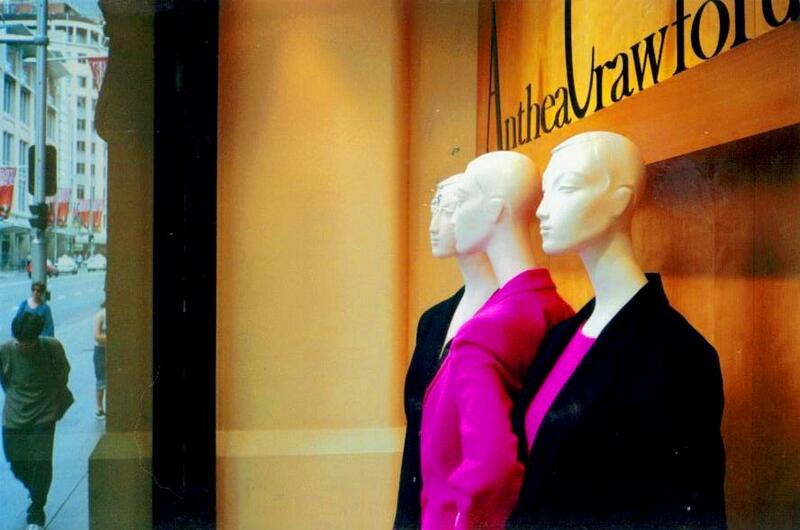 Surprisingly, the dynamics of spending also reflect in those universal mainstays of fashion — mannequins. 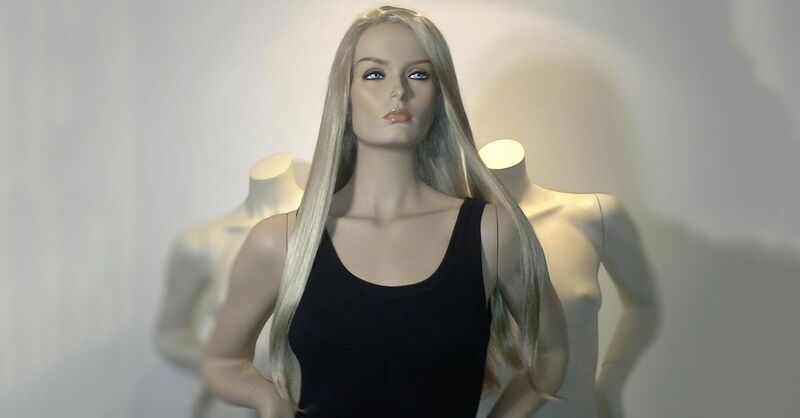 It’s not only styles and trends that influence the variations between posable and fully lifelike to faceless and basic. During the economic downturn in the early 1990s, Philip says, many stores slashed their display budgets and teams. “Expensive mannequins were replaced with headless, limbless torsos on stands that were easier for sales staff to remove garments from for customers,” he explains. However, retailers soon realised the austerity measures had backfired. 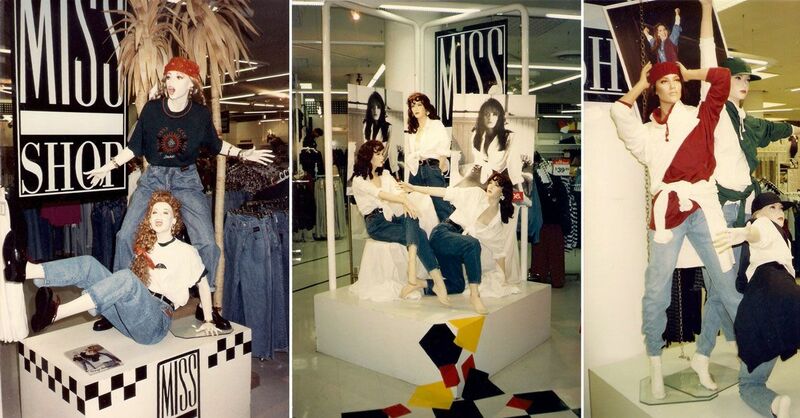 “Customers were not able to see garments co-ordinated and accessorised on an animated head-to-toe human form and also whether the garment silhouette was meant to be fitted or relaxed,” Philip says. As big suburban centres continue to put pressure on retail strips, he says local shops retain one major advantage — their 24/7 window displays. Today, major department stores have fewer visual merchandisers because they are less bespoke to local retail catchments than they once were. 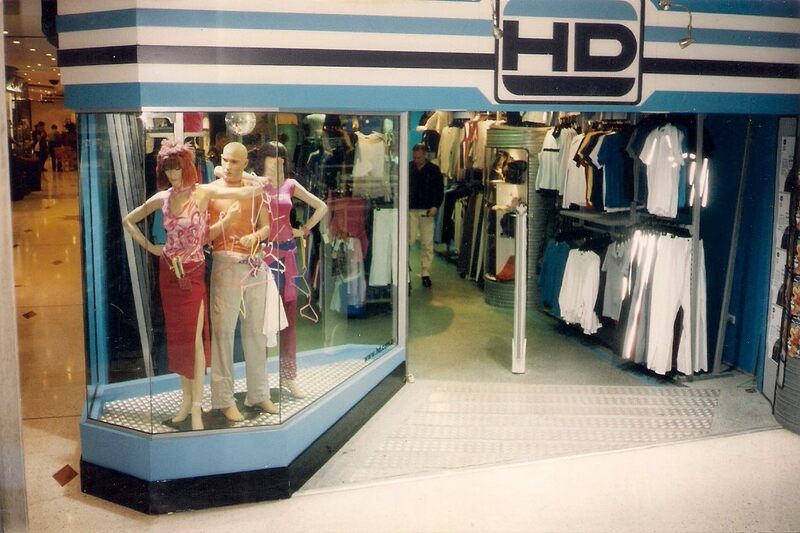 “In years gone by, individual store display teams would often produce their own props, choose their own mannequins and signage, and stage their own local promotions,” Philip says. “These times have passed with national offices determining and rolling out a company-wide image across the chain. “Department stores now also have more concession brands, which are often maintained by their own external merchandisers. Philip’s passion for his work and the industry shines through in the hundreds of photos he shares on his Facebook page, Freelance Window Dresser. The page is dedicated to photos and memories of the shops and fashions of days gone by, as well as insights into the world of visual merchandising. “A department store after hours back in the day was a fun place,” he says. All photos are courtesy of Philip Michael Wood. Find Philip at freelancewindowdresser.com.au, on Facebook and on Instagram. This article was first published in Ray White Commercial’s Portfolio magazine. Read the latest edition here.